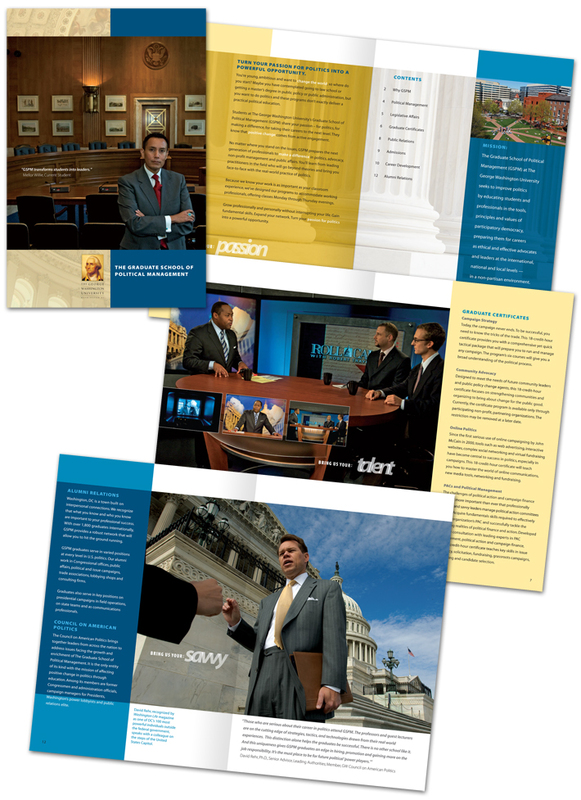 Enrollment brochure for The George Washington University Graduate School of Political Management. This was part of a larger promotional campaign. The challenge—in addition to simply successfully marketing the program—was to establish a look for the graduate school that kept within the graphic standard requirements for the University while still giving GSPM its own distinctive brand identity. Chris Greenberg, official presidential photographer for George W. Bush, did a beautiful job capturing successful graduates of the program in their powerful jobs around Washington DC.